How do I fix this so I can run Empire? Please reply. 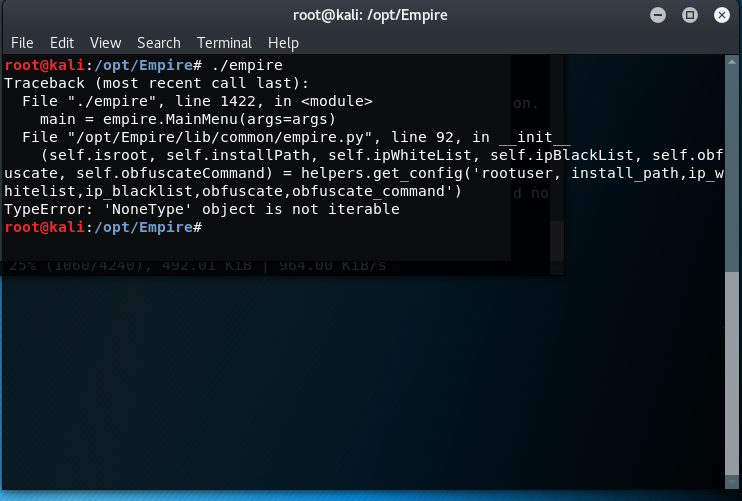 Thanks I am attaching a screenshot..
1) Why .empire, a hidden file? Hi, thanks for your fast reply. I am following a book that told me to install in /opt/Empire/. I checked your link and see I can install it anywhere. Your link says to run "./empire" in /Empire also. Is that correct? I tried ./reset.sh and then ./empire and it worked. How do I get it to work after ./install.sh and ./cert.sh? Installing is slow then it says it's finished. Then I get the above error. Any ideas?